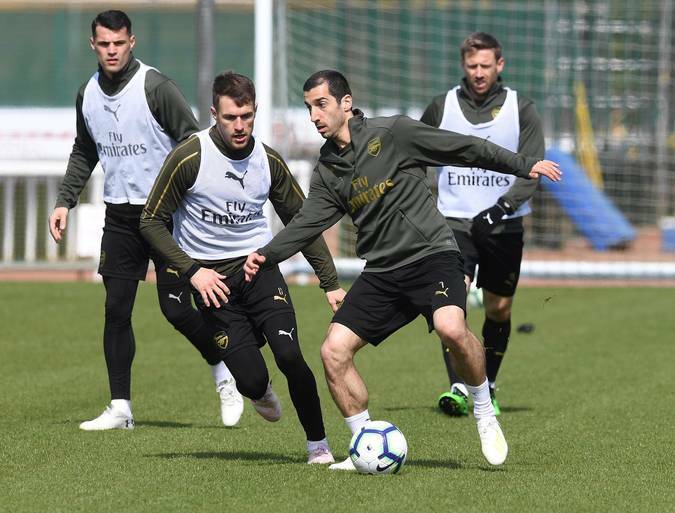 The next match for Arsenal comes up at Vicarage Road where they will face Watford in the Premier League on Monday night. 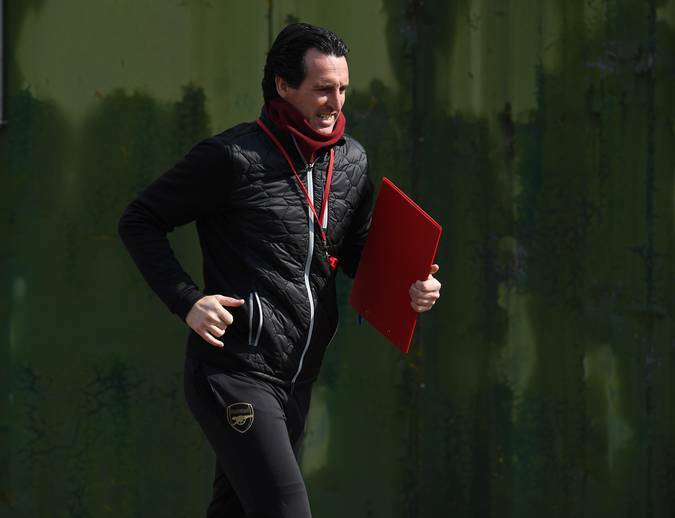 Unai Emery's men go into the game off the back of a remarkable 2-0 win over Napoli in the first leg of the Europa League quarter-finals. 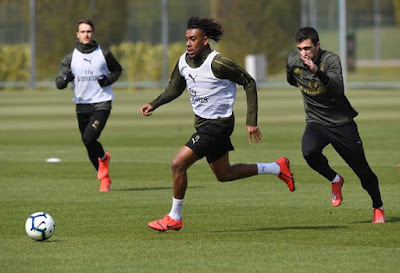 It will be an avenue to make amends for the setback suffered in the pursuit of Champions League qualification against Everton a week ago. 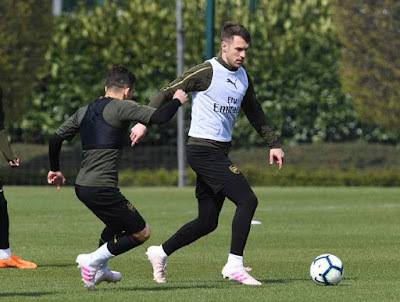 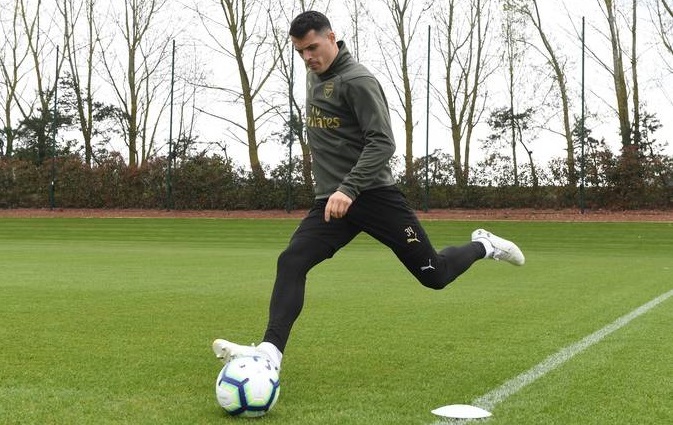 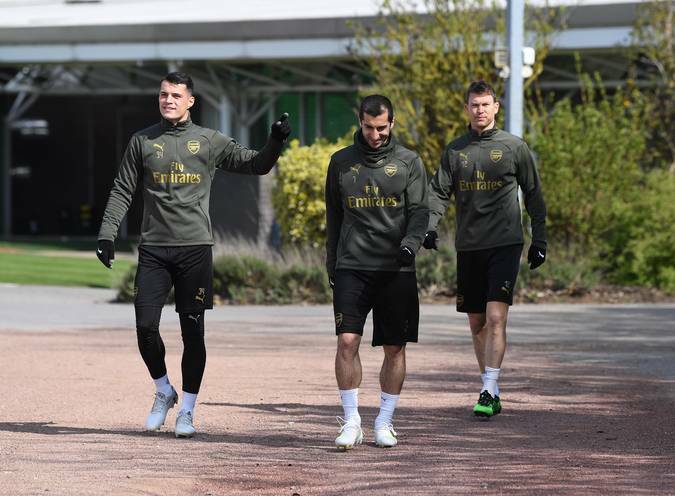 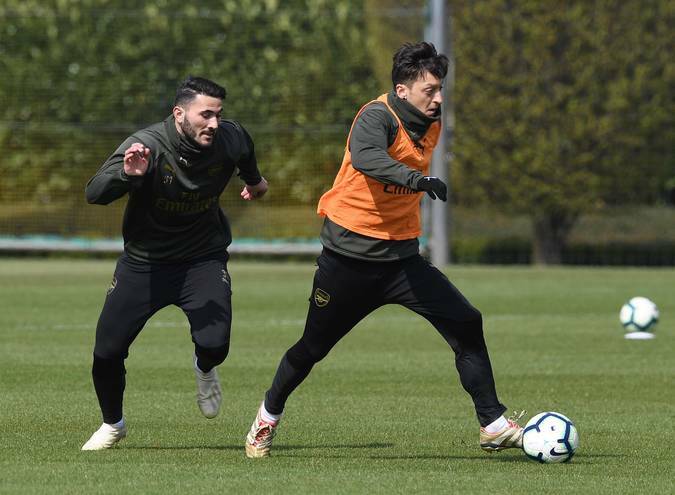 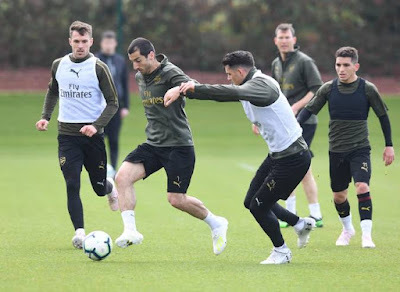 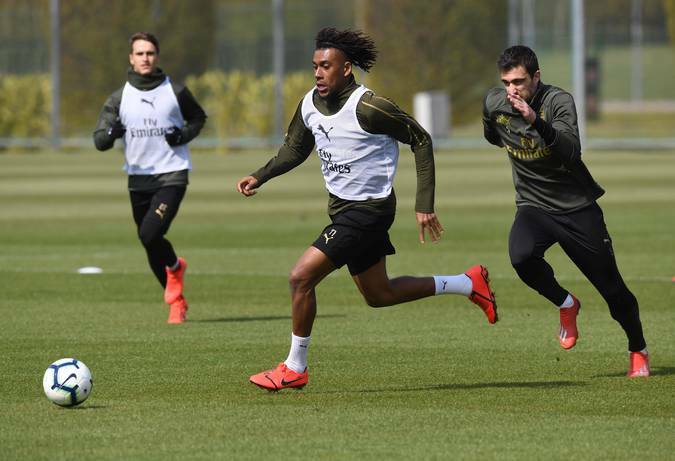 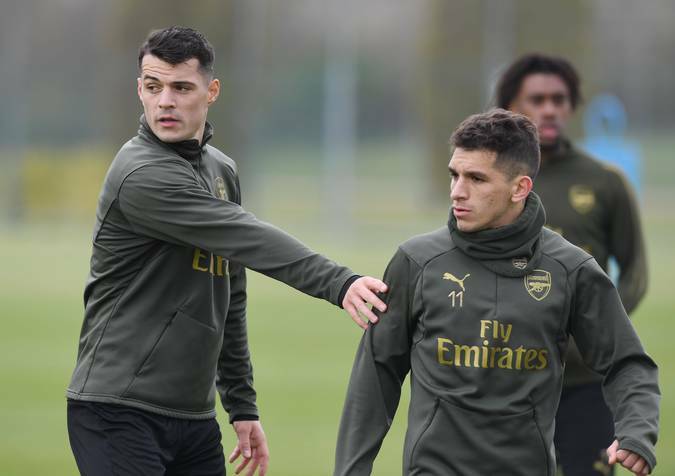 Knowing fully well that there is no room for fumbling, the boys did a lot of ball work at London Colney ahead of the trip. 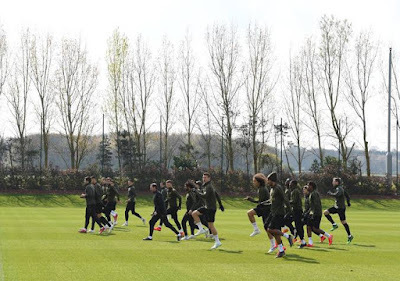 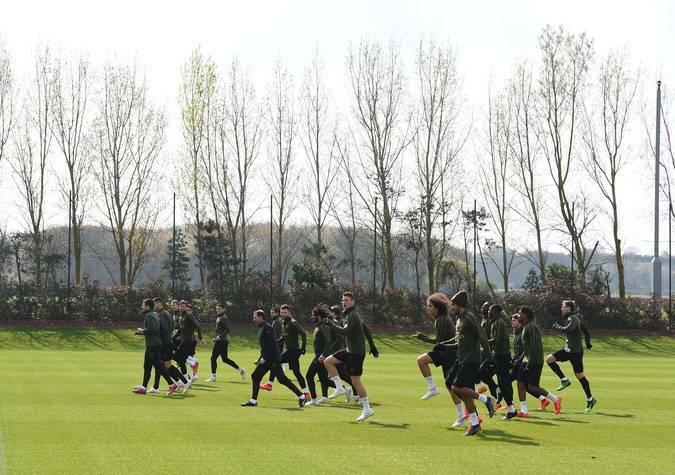 Below are some pictures from the final training session, courtesy, the club official website. Three points on the road for Arsenal later today will lift us from sixth to fourth spot where Chelsea who were beaten by Liverpool currently occupy. Sokratis Papastathopoulos will miss the match as a result of his accumulation of ten yellow cards which has earned him a two-game ban.